Since 2015, Pulitzer Prize winning New York Times photographer Josh Haner has worked across the globe documenting the pressing and wide-ranging realities of climate change. 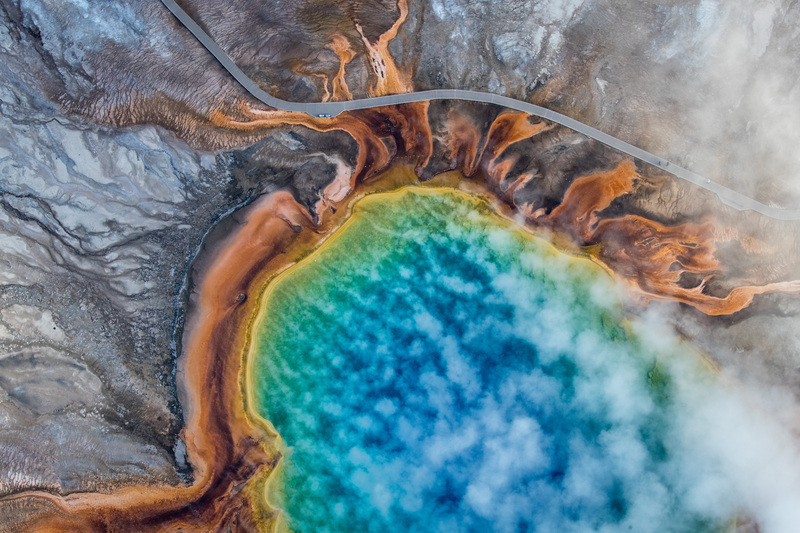 Combining the aerial freedom of dramatic drone footage with the intimacy of still photographs from the ground, the series is an intricate exploration of the many consequences resulting from a warming world, and Haner’s visual narrative starkly illuminates the ultimate legacy of climate change: the loss of our planet’s vast heritage. The number of climate refugees grows globally as people displaced by rising sea levels, flooding and drought are forced to relocate. In China, families have fled the desert lands where they had built their livelihoods, and government settlements are built to house the country’s many thousands of ecological migrants. On the other side of the world, people who had lived off the waters of Bolivia’s second largest lake for generations lost their homes — and cultural identity — as it dried out. Meanwhile, islands and coastal communities are vulnerable to rising seas: the Pacific island of Kiribati is routinely engulfed in powerful tidal surges, while residents of Isle de Jean Charles became America’s first climate refugees. And Jakarta, the Indonesian capital, is rapidly sinking, with about 40 percent of the city already below sea level. The lives of the planet’s other residents are also under siege. In the Galapagos, animals face an unpredictable future as their habitat changes around them, altering food sources for sea lions, birds and reptiles. Yellowstone National Park — crucial in restoring populations of bison, gray wolves and grizzly bears — is transforming so quickly that many creatures may not be able to adapt, and the growing frequency of natural disasters, like wildfires and storms, endanger animals and humans alike.